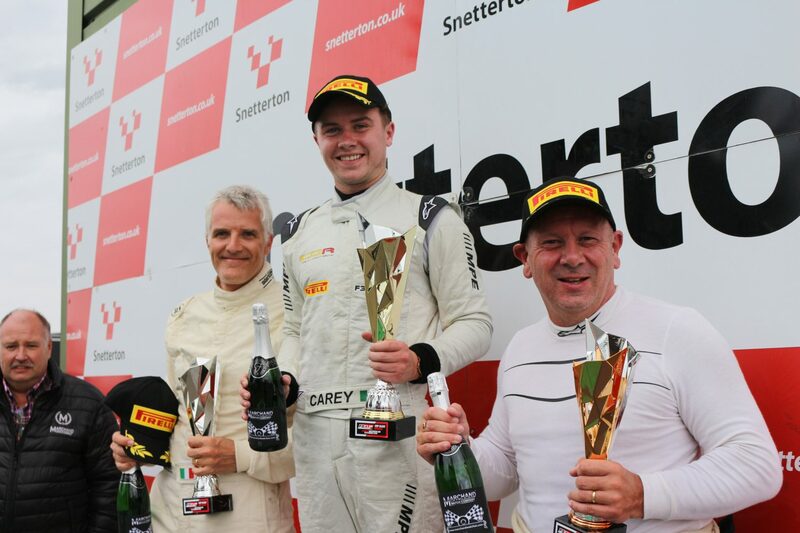 Cian Carey took two brilliant victories in a row as Chris Dittmann Racing dominated proceedings in F3 Cup at Silverstone this weekend (23-24 June). The Irish driver was in red-hot form and was unlucky to be hit late on in the final race as he honed in on his fourth win on the bounce in the competition. 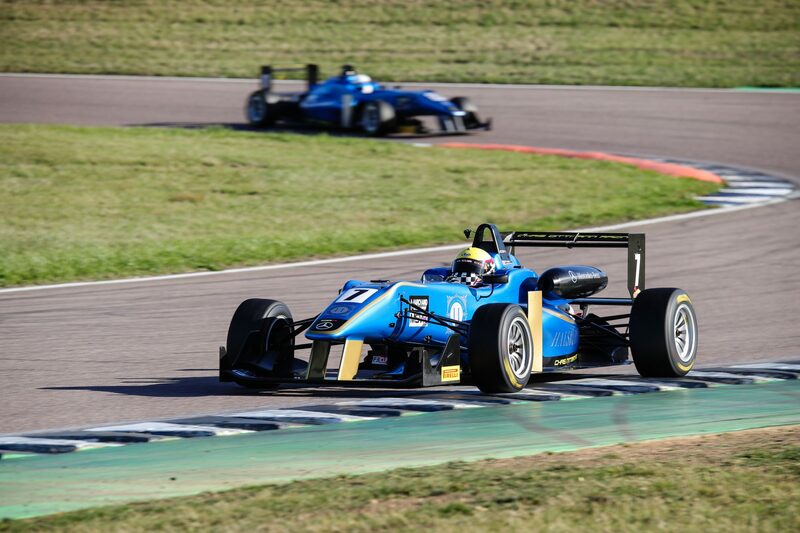 Instead, it was down to Baptiste Leonard and Patrick Jeans to claim their first ever podiums in the Championship after excellent races saw them take second and third place respectively. 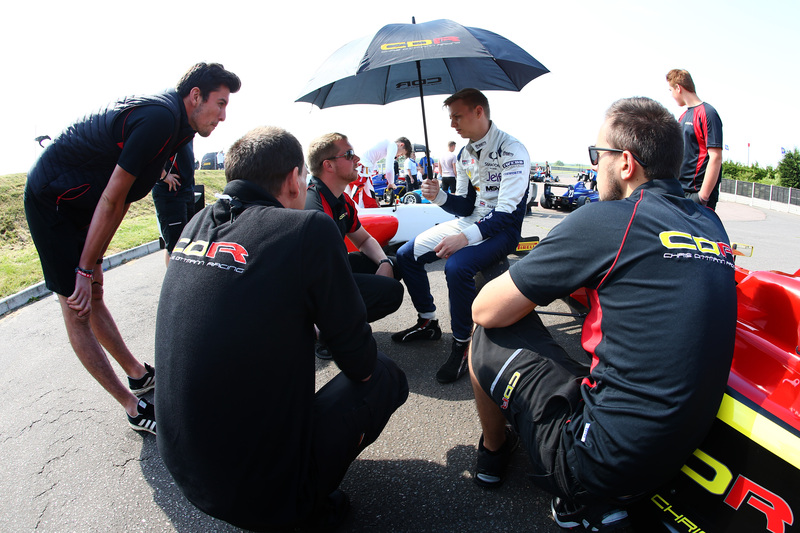 A happy team principal Chris Dittmann said: “It was an excellent weekend for CDR. The drivers and the team did an outstanding job. 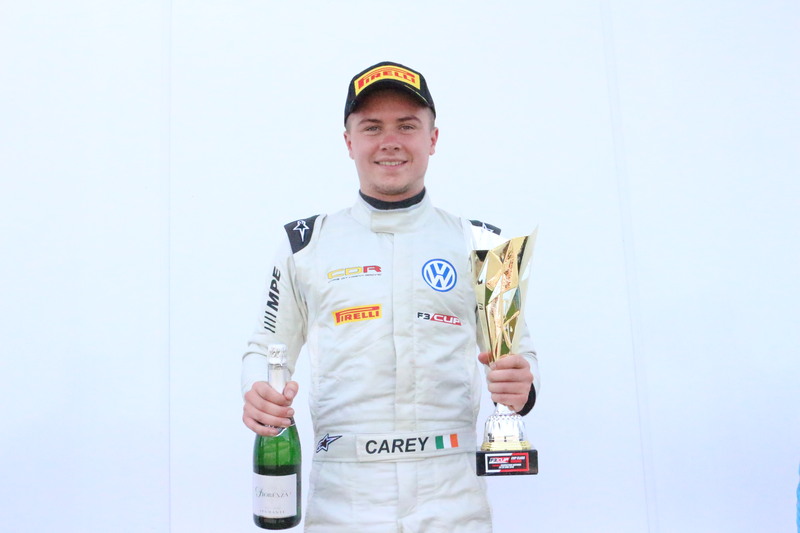 “Cian drove superbly all weekend and was extremely unfortunate not to take all three wins. But he achieved a great haul of points to jump up to second overall. 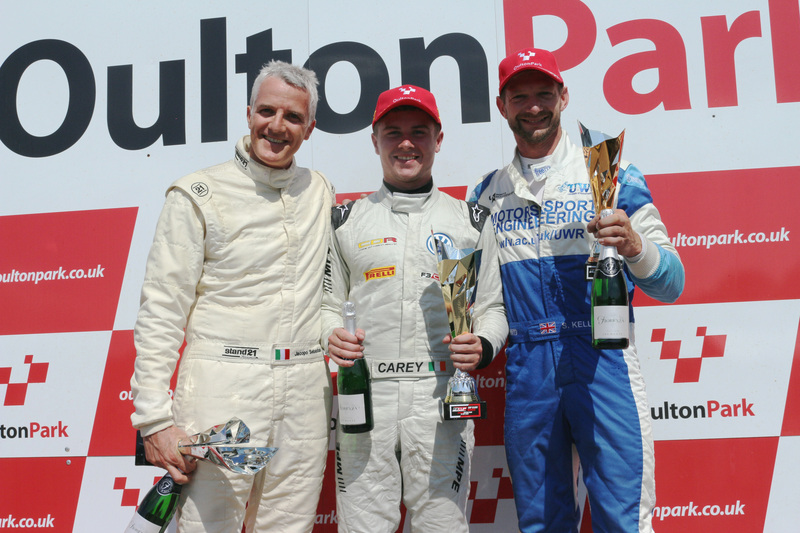 Carey took a win in the last race of the last round at Brands Hatch and for Silverstone, was joined again by Phillip Jeans and Baptiste Leonard, with Patrick Jeans returning to the team. Qualifying was extremely close, with the top four drivers covered by 0.080 and Cian ending up third, just 0.051 off pole. Meanwhile, a brilliant drive by Patrick, in his first stint back in the car since Donington and first at the track, saw him finish in sixth, with Baptiste, also at the circuit for the first time, in seventh and Phillip finishing in 10th. Cian got off to a great start in the first race, avoiding the pole man who stalled and taking the lead around the outside of turn one. From there he remained in control to take his first win of the weekend. Patrick started well and climbed into fourth before finishing there – at the time, his best result in F3. Baptiste was forced to avoid a stalled car in front of him and dropped to 10th, but recovered well to end in P7, with Phillip enjoying a race-long battle, fighting inside the top 10 to secure a fine P8 finish. Cian continued to dominate, taking the lead at the start of race two before setting the fastest lap of the weekend on his way to his third win in a row. Patrick retained sixth place off the start and managed a great overtake to take fifth, while Baptiste had a difficult start, stalling on the grid and dropping right to the back. Despite being 25 seconds off the car in front, a brilliant drive saw him take an impressive P9. Phillip had a couple of unfortunate spins whilst avoiding other drivers, but showed some encouraging pace to come home in 12th. 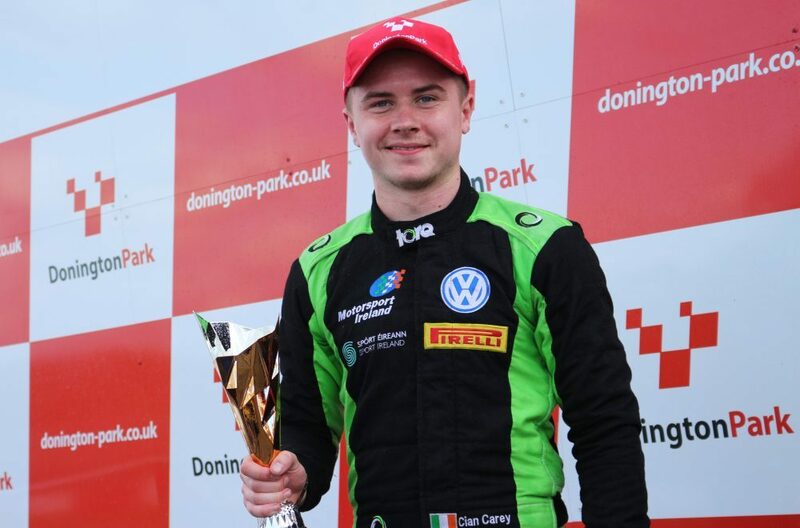 Another brilliant start for Cian in race three – from pole this time – saw the driver pull an early gap over second place and look certain to take his fourth win in a row. But a misjudged over-take on lap 16 from the driver behind resulted in heavy contact to the side of his car. He did well to take fifth at the end. Baptiste had a much better start, racing to sixth off the line and chasing down the cars in front. He made two great overtakes to climb to fourth, jumping to second after the incident in front, for his first ever podium in F3 Cup. Patrick had a difficult start this time, falling to eighth on the opening laps. 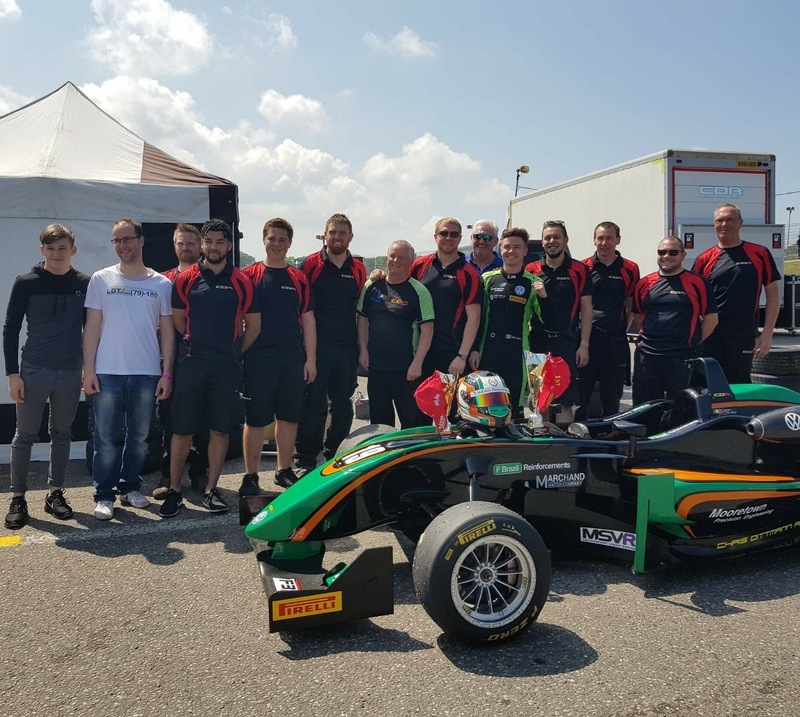 However an outstanding drive saw him finish in third for his first ever F3 Cup podium while also equalling the fastest lap of the race. 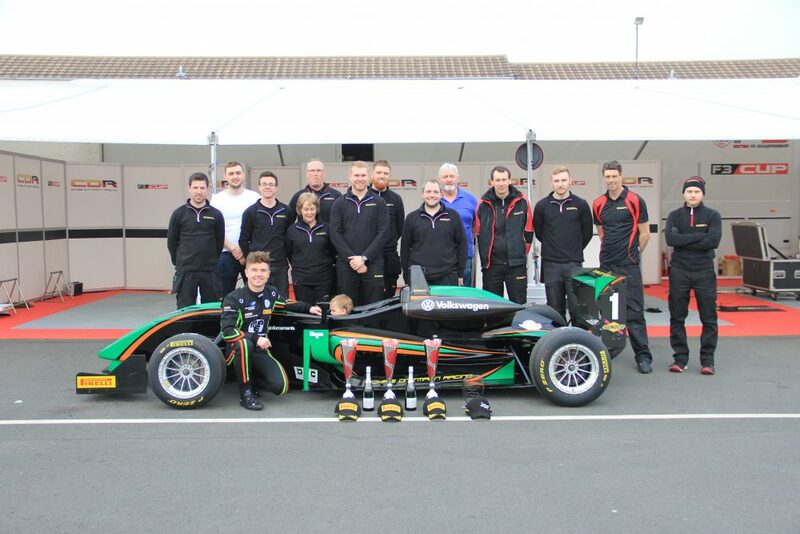 The team now head to Oulton Park for rounds nine and 10 on 14 July. Chris added: “Patrick has moved up to fifth in the Championship, even after missing the whole of the Brands Hatch weekend, while Baptiste is now up to eighth, again after missing the Donington weekend. Philip is now seventh overall. It’s the double! 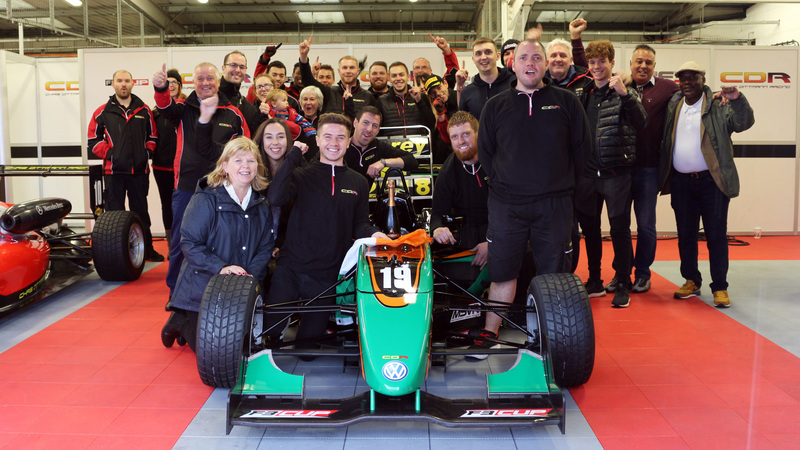 Delight for Chris Dittmann Racing after driver and team titles triumph in F3 Cup at Silverstone!